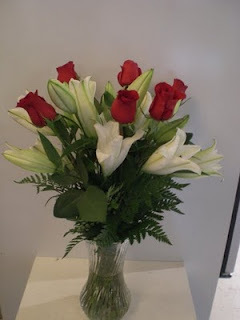 It's beautiful tied bouquet with roses and lily. This is special bouquet of this store. Tied bouquet is very different design with the other vase bouquet.